RC-CAM: R/C Model Video Projects and More! The original emphasis of this site was to provide details on how to build a wireless video camera system that could be carried by a R/C model aircraft. But a lot has happened since the 1990's. Nowadays there's no need for the elaborate hacking because ready-to-use systems are sold by a variety of specialty retailers that cater to the FPV hobby. When I first experimented with wireless video on my R/C models (late 1990's) I discovered that wireless video gear was difficult to find. Sadly, the available quality built equipment sold for several hundred dollars. So, I decided to create my own by hacking consumer wireless video systems. These experimental efforts quickly evolved into a wireless color camera system that would fit in a model aircraft. Fast forward a couple decades: The drone market is now well established and flying by video (First Person View, aka FPV) is common place. Affordable high quality wireless camera equipment is now readily available. So consumer video camera hacks, like the ones you'll read about here, are no longer needed (thank goodness). However, the project information remains for archival use. 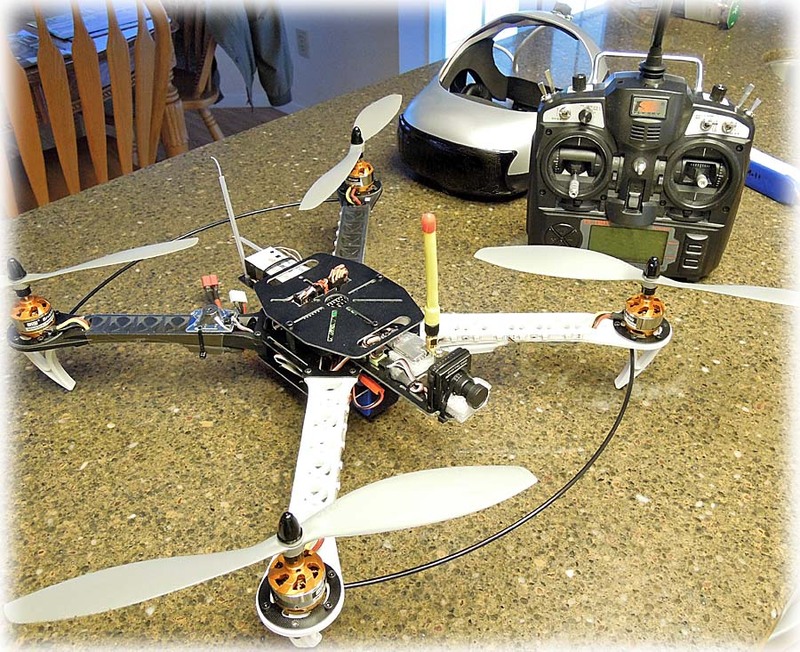 The rc-cam site hosts a technical forum for sharing FPV and R/C projects. The forum is also the place to discuss the projects found on the main site. You can join the RC-CAM Forum by clicking the "Forums" link. Please do NOT send us private e-mails asking for personal advice. Instead, join our forum and get insightful help from the RC-CAM community members. This is NOT a commercial web site. It is maintained by an R/C modeler who believes that other hobbyists may have an interest in unconventional R/C related projects. This site offers more than just technical information; it is really an adventure story that highlights one man's early attempts at getting his eye-in-the-sky. Much was learned along the way, and by sharing the details, perhaps you will too. R/C model aircraft are not toys and should be flown under the supervision of an experienced adult pilot. Our sponsors are not responsible for the content of this site and do not endorse radio controlled model helicopters or the use of video camera equipment on them (or any other R/C model). Our sponsors and/or the web site's authors are NOT responsible for any personal injury, property damage, or financial loss resulting from using the published information. * ©1999-2017 RC-CAM by T. Black, all rights reserved. Updated Feb-23-2017.